It’s so easy to lose sight of our wishes as we grow and life settles on our shoulders. 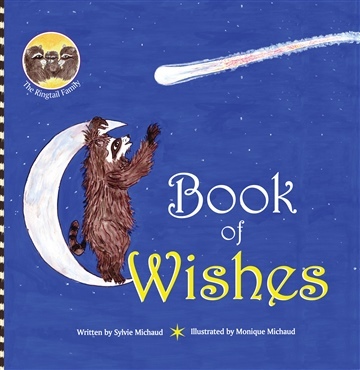 Perhaps a gentle but constant reminder in the form of a story can help children to hold onto their wishes. The audience for this picture book ranges from babies to preschool age children. 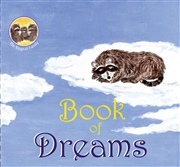 It’s a special time for babies, young children and adults to connect and later for young children to read the story themselves and take in the message of the book at a deeper level. The rich yet soothing illustrations and gentle story make for an ideal bedtime story. So cuddle up with your little one and wish for a world where we never lose our ability to make a wish (and sometimes they may just come true). Sylvie is a North Vancouver, BC based writer and graphic designer. After years as a writer, editor and designer for The Canadian Red Cross Society newsletter, “The Responder”, Sylvie has gone on to write for several other groups & magazines including Pacific Yachting, GardenWise and the North Shore’s own Lynn Valley Literary anthology, “Wintertide”. In 2011, Sylvie won the Lynn Valley Literary Society’s short story contest for “Fire and Fortune”. In addition to her literary background, Sylvie is the ower of Blackbarn Crafts where she designs, produces and sells handmade crafts for crafts shows and other online venues. The idea for the books came to her one day while she was remembering the beautiful times she’d known with her own son when he was a baby. One line popped into her head, “All the things you wanted to say to your baby, but were too sleep deprived to remember.” She’s a writer, not an illustrator, but her mother, Monique Michaud, is a painter and crafter. Sylvie asked her if she would like to work together on the project. 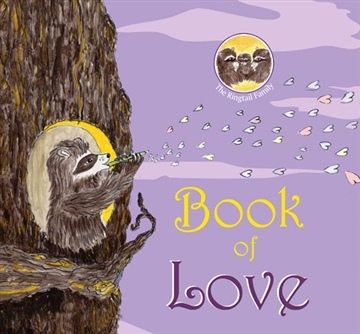 The result of the collaboration is The Ringtail Family collection, a series of wonderful books about Love, Wishes and Dreams (they are especially gentle and relaxing which make for a great for a bedtime read). The stories all revolve around a curious little raccoon, Baby Ringtail, and his big question to his parents, Mama and Papa Ringtail. The collection includesBook of Wishes, Book of Dreams and the Book of Love.